Technology in sport is giving athletes the crucial edge over their rivals, helping umpires make difficult decisions and giving fans exciting new ways to experience the action. 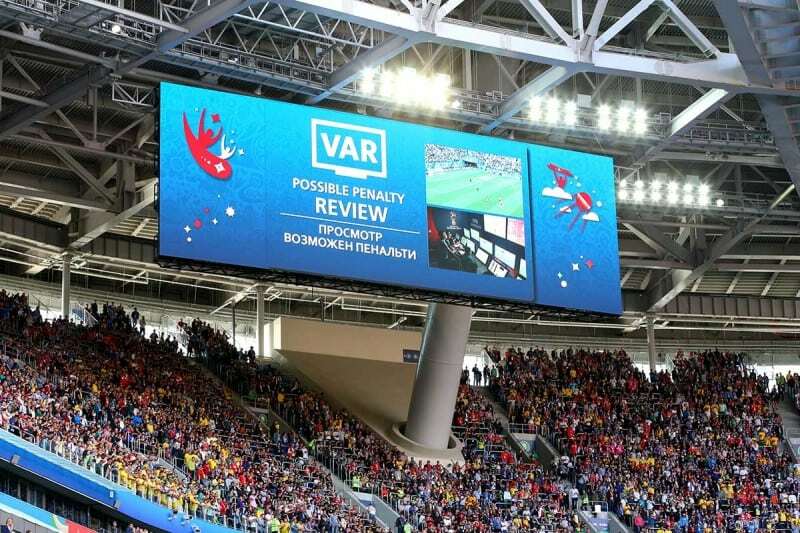 As we’ve seen with video-assisted referees at the World Cup, new advances bring new challenges. Join our panel of experts from the world of sport, engineering and broadcasting as they explore the issues. Speaking of sport… the medals for the 2020 Tokyo Olympics and Paralympics will be made from gold, silver and bronze scavenged from recycled smart phones. Jason Love from Edinburgh University argues that our discarded devices are urban mines. With new chemistry, we can recover metals rather than extract them anew from the Earth, potentially saving money and the planet. How fast is your home internet? Not as fast as Lidia Galdino’s. She’ll be explaining what limits internet speeds and how her team have demonstrated the world record of 120,000,000 Mbits per second. At those blistering speeds, you could download 30,000 box-set episodes in a second! Farmers have used selective breeding for centuries to transform wild plants into food that we have on our table. Gene editing technology promises to make better, tastier and healthier food and is becoming a commercial reality. How does it work? Is this GM all over again? Meet plant scientists from Phytoform Labs and ask your burning questions about modern molecular breeding tools like CRISPR. How much do you really know about palaeodiets, food fads and fashions? Our Stone-Age Supermarket takes you back to an era when we left our foraging and hunting past behind us and adopted new ways of eating. You can discover the animals and plants that caused a food revolution 6000 years ago. With the help of archaeologists, you can even plan your own Stone Age feast. With so much to do, see, hear and get your hands on, check out the programme and start planning your visit!